Sri Satya Sai Baba has been benevolent enough to visit Delhi-NCR (April 9th-14th). Satya Sai Baba has a following of billions of devotees all across the world who have been enthralled by his divine visit and also vastra-daan and narayan seva was done for general public queuing up in thousands at the Satya Sai International Centre in Delhi. Ahimsa may be central to our world view yet how many of us follow it? Similarly we are a secular country and as such each one of us is entitled to their choice of God and belief. In an age when Durga and Kali are worshipped as symbols of profundity, erudition and might in the world’s largest democracy, it is indeed disheartening to see the feelings of devotees hurt many a time by disturbing articles written by non-believers. The crazy thronging of people queuing up for Sathya Sai Baba’s darshan was indeed a sight to watch! For those who called him Human, isn’t it ironic, the kind of work he has done from building universities to hospitals to providing water to billions of people? Since young, Ramesh Sharma has been fascinated about finding out the true purpose of human life. As he grew older, he continued with his quest, even going on trips to India to meet up with spiritual gurus. Two years ago, the 53-year-old former salesman decided to write down his experiences. A Buddhist Disciple Muk Tho’s Journey of Spiritual Mystic (Pristine Books, RM33.80) tells of some experiences which might seem ‘miraculous’ and somewhat out of this world. 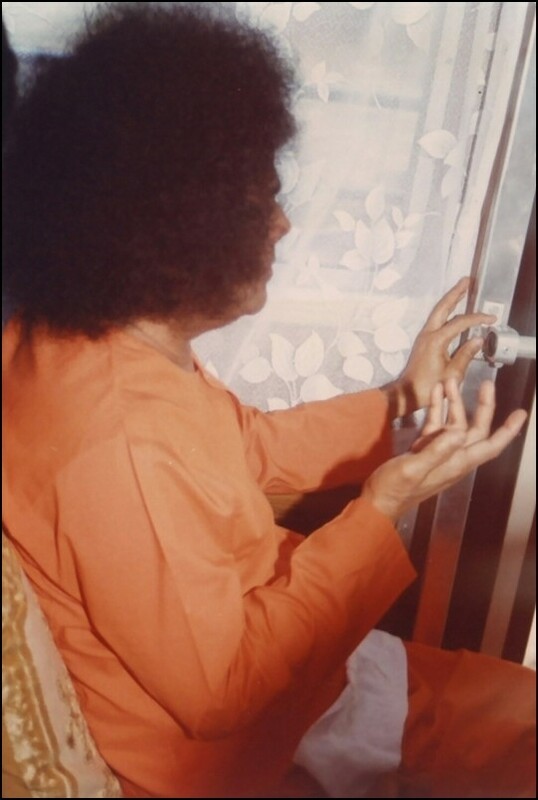 For instance, there is the story about a garland his mother had placed on a photograph of Indian mystic Sathya Sai Baba which, his mother claimed, had grown longer. He decided to measure its length. To his surprise, he found the garland had actually grown longer! In the end, it grew so long that it touched the floor of the prayer room where the photo was placed. Ramesh, who was 12 then, was speechless and spellbound. Then when he was 15, he was stung on the hand by a bee. While getting ready to go to the hospital, his maid suddenly went into a trance and acted like she was possessed by the monkey god Hanuman (an Indian deity). She grabbed his hand and sucked out the poison. Another story also concerned his mother. During a trip to see Sathya Sai Baba in India years ago, she was given a locket by this holy man. But on the day she died, the locket mysteriously disappeared and was never found. Of course, sceptics might have a hard time digesting some of these stories but Ramesh remains unperturbed. “Miracles and divine interventions are experienced by people of all religions and races,” claims the author, who grew up in Penang. He encourages people to go on their own journey to find the meaning of life, love and god. “You cannot look for those things from other people’s experiences,” he adds. Ramesh also believes that the human race will always want to be one with the Creator. “But man must be sincere in his quest to be connected to God. Being sincere means not asking for material wealth all the time. The human race always asks for the wrong things from God. He believes that God wants the human race to lead a fruitful life. “You should ask for virtues that will make you a better person. You should ask for strength and guidance. Pointing to the late Mother Teresa as an example of a truly great human being, Ramesh says she once brought home a dying homeless man and bathed and cleaned him. She held his hand as he breathed his last. “Before dying, the homeless man apparently told her: ‘I had lived my life as a pauper but I’m going to die as a king’. It was his mother, Nivedita Joshi, who triggered his interest in spirituality. She was an ardent reader of books on this subject. He was especially struck by a line in one book, Paramahansa Yogananda’s Autobiography of a Yogi. It says: “Why do you search for me when I am within you,” which he found very comforting. Years later, when he inherited most of her books after her death, he read all of them and they opened up a whole new world of experiences for him – one that he cherishes till today. HYDERABAD: Listen to music and write down the notation, this is the message to the budding musicians from Nookala China Satyanarayana, the recipient of the prestigious Padma Bhushan award this year. Immediately after the announcement that Satyanarayana was chosen for the Padma Bhushan award, scores of his disciples thronged his house in New Boiguda in Secunderabad to congratulate him. But, the humble Nookala said that the award goes to the “pure classicism’’, which he had always practiced. His advice to the learners was listen to music and write down the notation. He said classical music has finally got recognition, which was hitherto neglected by the Government. He suggested to the Government to conduct music festivals and give more awards to encourage classical music. “I dedicate this award to my parents, gurus and to classical music,’’ he said. Nookala is a doyen and a multi-faceted Carnatic classical musician. Gifted with a sonorous voice and great calibre he adheres to classicism. China Satyanarayana was born on August 4, 1927 at Anakapalle. Kambhampati Akkaji Rao, Mangalampally Pattabhiramayya and Sripada Pinakapani (who also got Padmabhooshan award) were his teachers. Nookala, attracted by the violin legend Dwaram Venkataswamy Naidu learnt violin. While delivering a lecture at the Columbia University not so long ago, the former Reserve Bank of India (RBI) Governor Dr Yaga Venugopal Reddy, was asked to name the economic theory he used to predict the US housing market crash much before it had happened. “It was simple common sense,’’ Reddy replied using his usual witty repartees. That pretty much sums up the man, who is credited for creating flexibility in the Indian monetary policy and preventing an asset price bubble during the recent global economic meltdown. Reddy, a septugenarian, hails from Kadapa and was elected as the 21st RBI Governor — for five years between 2003 and 2008 — a time, which economists consider as an important phase post-1991 reforms. Notwithstanding the robust economic growth and booming stock markets, Reddy, was known for continuous policy rate hikes during his tenure. Reddy, an officer of the Indian Administrative Service 1964 batch, also served as India’s Executive Director on the Board of the International Monetary Fund. Besides being an economist, Reddy’s other forte is teaching. He donned a lecturer’s hat way back in 1961 and has been a full-time visiting faculty at the Osmania University, the London School of Economics. Currently, he is Professor Emiretus, Department of Economy, Hyderabad Central University. “Healthcare is a critical sector for the development of the nation. This honour , which I humbly accept on behalf of the 62000 members of the Apollo family is an acknowledgment of the sector and an inspiration to work even more towards “touching a Billion lives,’’ said Pratap C Reddy on being bestowed with the Pada Vibhushan award. He was awarded the Padma Bhushan in 1991 for his contribution to the healthcare industry. A cardiologist, Reddy was born in Chittoor district and received his premedical degree from Madras Christian College and medical degree from Stanley Medical College, Chennai. Later he did his Fellowship at the Massachusetts General Hospital, Boston, US. The idea to set up a hospital took shape when he lost one of his patients who couldn’t make it to the Texas for an open-heart surgery. Subsequently, he quit his flourishing career to start the first hospital in Tamil Nadu, way back in 1983. Dr Alluri Venkata Satyanarayana Raju, known as, A V S Raju, is perhaps the first among infrastructure and construction peers in Hyderabad, to bag the prestigiuos Padma Shri award under the Trade and Industry category. Hailing from East Godavari district, Andhra Pradesh, Dr Raju actively propogates literary, cultural and social activities. A prolific writer, he has penned more than 24,000 peoms on varied subjects. But it is his magnum opus, an epic biography in poetic form of Sri Sathya Sai Baba that has catapulted him into the Guinness Book of World Records in 2008. The founder Chairman of Nagarjuna Construction Company Ltd., (NCCL), ventured into construction field way back in 1950’s and has been in the business since then. POPULAR Annamacharya kirtan singer and composer, and Shobha Raju has been elected for the prestigious Padma Sri award in the field of art. With over 45 years of extensive contribution to music, over 6,000 stage concerts and performances, Shobha Raju is a stalwart in the field of spiritual music. Born on November 30, 1957 at Vayalpadu in Chittoor District, Shobha was more or less a child prodigy and started composing tunes at the tender age of four. She cut her first gramphone record album at the age of 16. She became popular in India as well as abroad for her unique style of rendering Anamayya compositions. HYDERABAD: Andhra Pradesh has reaped a rich haul of Padma Awards, the country’s highest civilian awards, announced by the Government of India on Monday. Two distinguished Telugus—former Governor of RBI Yaga Venugopal Reddy (Public Affairs) and Apollo Hospitals Chairman Prathap C. Reddy (Trade & Industry) have been conferred Padma Vibhushan, though the latter falls in the Tamil Nadu category. Carnatic vocal maestro Nookala Chinna Satyanarayana (art) has been conferred the prestigious Padma Bhushan award while NGRI Director V.P. Dimri (science & engineering), Annamacharya Bhavana Vahini founder and vocalist Shoba Raju (art), industrialist A.V.S. Raju (trade & industry) besides badminton ace Saina Nehwal (sports)were awarded the Padma Sri on Monday. Prof. Nookala Chinna Satyanarayana (87), started his illustrious journey in Carnatic music as a violinist at the age of 13 under Mangalampalli Pattabhi Ramaiah, father of M. Balamurali Krishna. After his foray into Carnatic vocal under the mentoring of the likes of Dwaram Venkataswamy Naidu and Sripada Pinakapani, Prof. Satyanarayana never looked back in a career spanning over seven decades. A recipient of several awards including the Central Sangeet Natak Academy award and Sangita Kalacharya award of Madras Music Academy, Prof. Satyanarayana gave concerts in the United States, Canada Malaysia, Ireland and other countries. Dr. Dimri expressed happiness upon receiving Padma Sri and described it as “recognition” of the contribution made by the entire NGRI staff. “Its great news” he told The Hindu here on Monday. The NGRI staff did a lot of good work in the fields of earth sciences, energy security, water-related problems, environmental studies and natural disasters like earthquakes and tsunamis. The conferment of Padma Sri thrust greater responsibility and the institute would focus on future challenges relating to climate change, natural hazards and hydro-carbon resources, among others. “I can be called as ‘Junior Padma Sri’ if someone feels I am too young to receive the prestigious award,” exclaimed Saina Nehwal. Saina was the first Indian woman badminton player to reach the singles quarterfinals in the Olympics, first Indian to win the World Junior Badminton Championships and first Indian to win a Super Series tournament. Born in Antervedipalem village of East Godavari district, Dr. Raju (73) took the plunge into business in 1956, but not before experiencing the rigours of working in agriculture, construction and other activities. The founder chairman of Nagarjuna Construction Company Limited, a leading construction firm, Dr. Raju started several industries in diversified areas including Nagarjuna Steels Ltd, AVS Containers, NCC Finance and Deccan Cements limited, providing employment to over 4,500 people. A poet with 24,000 poems to his credit and author of several works, Dr. Raju had entered the Guinness Book of Records for penning the largest single volume biography of Sri Sathya Sai Baba of Puttaparthy. Mumbai: Maria Polyzou was in Mumbai for the first time on Sunday. She was in the city to participate in the Standard Chartered Mumbai Marathon flame run — the first time the flame was seen outside Europe — from the Shiv Chatrapti International Airport to the Hutatma Chowk. Polyzou is best-placed to spread the marathon spirit. At 41, she has been running marathons for 23 years. She is also the director of the Museum of Marathon in Marathon. In September she is planning to participate in the Ultra-marathon, a 250 kilometre grind, between Sparta and Athens. This year marks the 2,500-year anniversary of the battle of marathon, so Polyzou wants to make it a special one for her and the sport as well. She had run in Xiamen, China, to celebrate the uncoming anniversary in September. “This is a special year for the sport. It’s great that the marathon flame has come to Mumbai. It will make this year’s event most special,” Polyzou told DNA on the sidelines of the run. The marathon celebrates the run of a soldier, Pheidippides, from the battlefield near Marathon to Athens in 490 BC. Pheidippides was carrying the news a Greek victory over the Persians and collapsed and died at the end of his effort. “There is something about marathons that elevate the spirit. If you can run a marathon you can safely say that you not only have attained the best from your body but have also managed to control your mind. There is no greater satisfaction than winning a marathon but even participating and lasting the distance can be a life-changing experience,” Polyzou said. India is a second home for Polyzou. She is a Shri Sathya Sai Baba devotee and has been to Puttaparthi a number of times. “I have always enjoyed my visits to India. I am sure the Mumbai marathon will continue to be a success. What is most important for the success of a marathon is public participation and going by what I have seen today and heard about the previous editions, there is a tremendous support for the event,” Polyzou added. An elite athlete field comprising some of the world’s leading male and female long distance runners will participate in the seventh edition of the Standard Chartered Mumbai Marathon 2010. The course record for men stands at 2:11.51s, set last year by Kenyan Kenneth Mugara, while the record for women is 2:34:08, held by three-time winner Mulu Seboka of Ethiopia, set in 2008. While Kenneth Mugara is missing for this year’s line up, due to injury, last year’s runner-up David Tarus, also from Kenya, will be back and going by his current form is one of the front runners to take home the winner’s purse of $35,000. Tarus ran 2:09:24s at Eindhoven in October 2009 and will have to contend with another strong challenger from Kenya, Daniel Kiprugut Too, who has returned the fastest timing in 2009 from among the field, clocking 2:08:38s in the Paris Marathon. The other leading contenders among the men are Ethiopia’s Gebo Burka, winner of the Alps Marathon in 2009, with a personal best of 2:10:18s, set at the Cannes Marathon in November 2009, and Kenyan Luka Chelimo, winner of the Toronto Marathon in September 2009 with a personal best of 2:10:26s. A grand event was staged to celebrate Puttaparthi Sathya Sai Baba‘s 84th birthday. To celebrate the 84th birthday of Puttaparthi Sri Satya Sai Baba, a five-day festival of music was organised. Several associations of his devotees, followers and members of the city seva samithi in association with the pupils and teachers of Sri Satya Sai Vidya Vihar in MVP Colony, organised the festival of music, dance and drama. The ballet Sree Paadaalu scripted and directed by M. Prakasa Rao, staged on the penultimate evening on last Sunday was the highlight of the festival. Enacted by about five scores of pupils of the Sri Satya Sai Vidya Vihara on the imposing stage, attracted a very large gathering. It depicted the story, how a very prideful scientist who was an atheist got totally reformed after coming to know about Sathya Sai Baba from one of his staunch devotees whom he came across by chance. As was advised by the devotee, he went along with him on a pilgrimage to get ethically worthy enough to visit Prasanthi Nilayam, the abode of Sathya SaiBaba at Puttaparthi and fall on his feet to get blessed by him for deliverance from the ill effects of the sinful life that he had led. Visualisation as to how his desire gets fulfilled marked the grand finale of the ballet. All dialogues in prose and lyrical form for all the dramatis-personae were perfectly rendered by professionals (evocatively, musically, melodiously and aesthetically) and were pre-recorded. Makeup, sound and stage management were admirably accomplished. No wonder, watching the ballet, spell bindingly turned out to be an enthralling and elated experience. Coming to Anitha Guha’s function and going back home without seeing a dance performance from Bharathanjali sounds ridiculous. Students with the perfect Nritha and Abhinaya gave a few performances which kept the audience in rapt attention. One fact what quite evident and true, Anitha Guha is definitely a boon to the artistic community as she has groomed her students very well.